The Fairplay fleet in Rotterdam welcomes two new members: The hybrid tractor tugs Fairplay IX and Fairplay XI, each equipped with a SCHOTTEL hybrid propulsion system including two SCHOTTEL Rudderpropellers SRP 4000 with hybrid gearboxes, two electric motors and an integrated steering control system, specialized for hybrid propulsion. Tugs are required to fulfill a variety of daily tasks, covering the full power spectrum, from stand by periods to towing operations. 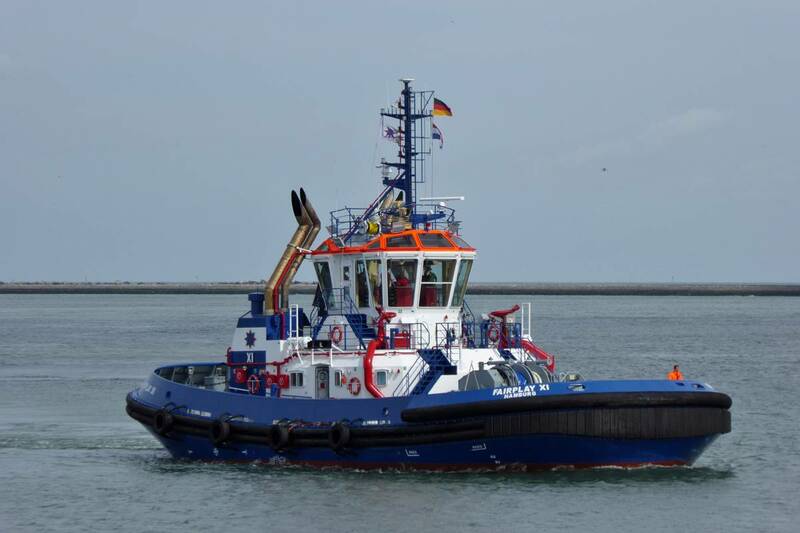 The installed hybrid propulsion concept enables the Fairplay tugs to operate with an optimal power output, SCHOTTEL said. At part load, the electric motors (600 kW each) suffice while the two MTU diesel engines (2,240 kW each) are employed for operation at full load. Here, the electric motor can be switched on to provide additional power. The 29 meter long tractor tugs have a bollard pull of 90 t and travel at a maximum speed of 13.5 knots. Hybrid drive systems reduce pollutant emissions and fuel consumption, since the electric motor diminishes the operating hours of the diesel. This increases the mean time between overhauls (MTBO) and reduces maintenance costs. Another feature of the SCHOTTEL one-stop-shop hybrid propulsion solution is the included steering control which is optimized for the flexible operation with two different motor types and integrated in the vessel’s control panel from the outset.